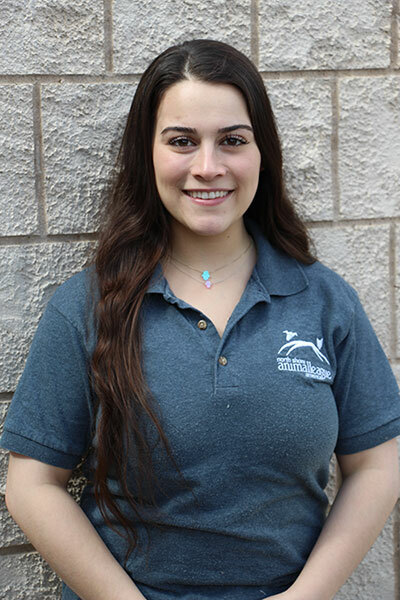 Mutt-i-gree specialists Rosemarie Tombolo and Cory Carr join forces to build the school dog team! Many schools are taking an extra step in implementing The Mutt-i-grees Curriculum by having their own school dog — a dog, owned by a teacher, counselor or principal, who comes to school every day. Once Rosemarie finds a pup with the right personality for the job, it’s up to trainer Cory Carr to make sure they are on their best behavior. Animal rescue and training have always been a big part of Cory’s life. He has masters’ degrees in both zoology and herpetology (yes, snakes) from the University of Florida. He’s trained alligators, worked under dog whisperer Cesar Millan, rescued seven German Shepherds and 30 bull pythons, and even has his own hybrid wolf/German Shepherd mix! 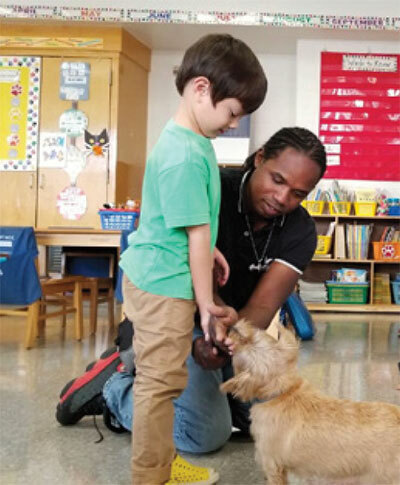 Cory and Rosemarie are busy visiting schools throughout New York City, training all the school dogs with their teachers and students on site. Jayne says, “Rosie and Cory are the pathway that bring the experiential component of the Mutt-i-grees program into the classroom—working with a real live dog.” Teachers and kids learn how to connect with their school dog using kindness and empathy—everything they are learning about effective communication in the Mutt-i-grees lessons working in real interactions with their school dog! Teachers are also learning their school dog is a member of the class that can go everywhere with them. Recently, a teacher asked Cory where he thought their school dog Taz should stay when they went on a field trip to the New York Botanical Garden. Cory told her the best place for Taz was to go on the field trip with the class! So Taz put on his Comfort Dog vest, rode on the bus, and enjoyed a wonderful outing with his kids!